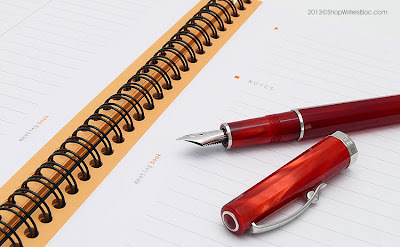 This year Rhodia introduces us to the Rhodiactive Business Collection: a new line of notebooks and notepads with a professional and contemporary look. They are designed to help you stay organized and efficient in the business world. So far, the Meeting Book 90 is the only part of this collection available in the USA. Rhodia already has a Classic Meeting Book, so how is the new Rhodiactive Meeting Book different? The most outstanding difference is the paper – it contains premium 90g extra white paper that has superior opacity and strength. 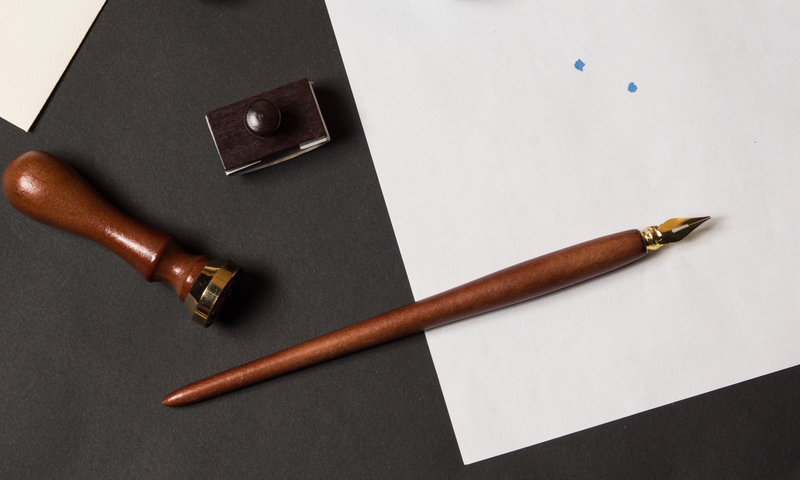 This means that you can write on both sides of the page without having significant issues with ink showing through or bleeding through the paper. If you are not already familiar with Rhodia paper, it is well known for having a smooth satin finish for effortless writing. It is also acid-free, pH neutral and PEFC certified. Besides helping you look classy and organized during business meetings, the Rhodiactive Meeting Book allows you to bring along your fountain pen! The cover of the Rhodiactive Meeting Book is also new – it is made of a sturdy, black 100% recycled polypropylene with a little bit of a linear texture to it. In comparison, Rhodia’s Classic Meeting Book has a waterproof coated cardstock cover that is available in both orange and black. 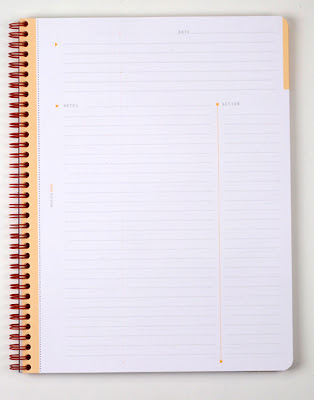 All of the Rhodia Meeting Books have the same pre-printed page layout with sections for Date, Notes and Action. This format is based on the Cornell note-taking system developed by Walter Paulk, a professor that worked at Cornell University. 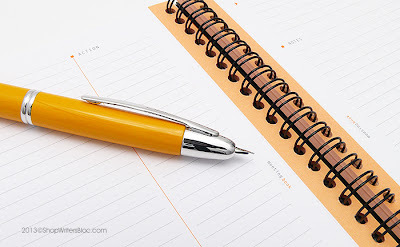 The “Date” and lined area at the top of each page are used to record the date, title or theme of a meeting or lecture and perhaps a brief summary. The large “Notes” area is for taking paraphrased notes during the meeting, and the smaller “Action” column is for key words and for your “to-do list.” If you are taking notes during a class, the “Action” column can be used to write questions relevant to the notes that can be used later while studying. Interestingly, the number of lines on each page of the medium size Meeting Book and the large size Meeting Book are the same. 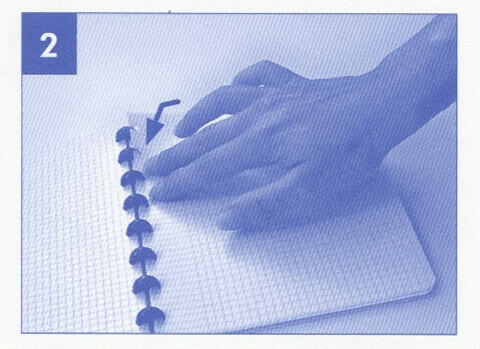 The medium size page is just a shrunken version of the larger page – the medium size notebook having a line spacing of approximately 5.5mm and the large notebook with an 8mm line spacing. 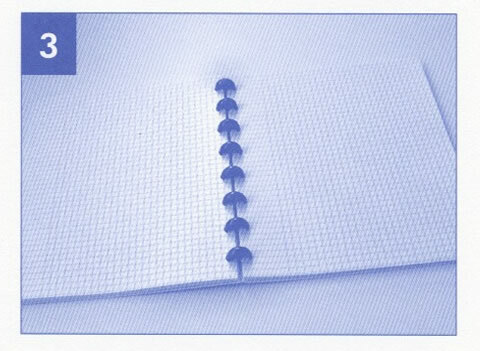 Each page is micro-perforated near the wire spiral so that it can be cleanly removed from the notebook. 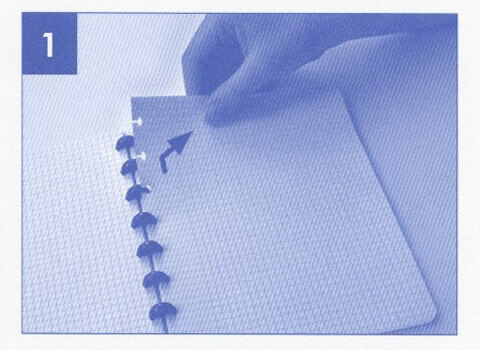 Once the paper is removed from the large Meeting Book the page is A4 size – about 8.25” x 11.75”. 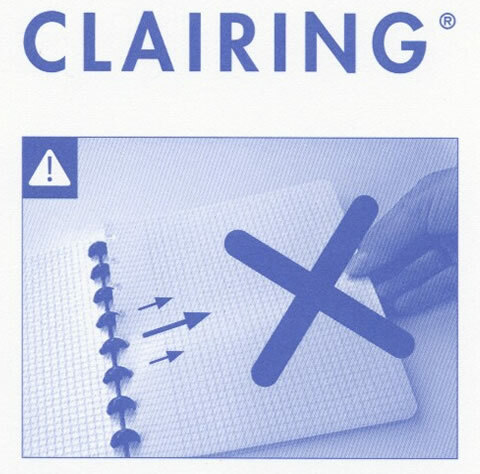 The overall size of the large Meeting Book including the spiral is larger – about 9.25” x 11.75”. The medium Meeting Book is about 6.75” x 8.25” including the spiral and once the page is removed it is A5 size – about 5.75” x 8.25”. 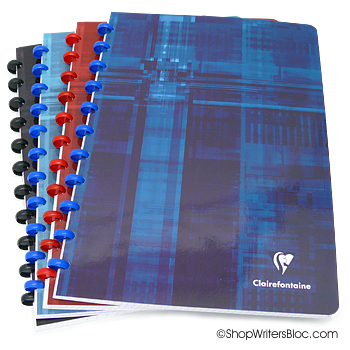 Both sizes of notebook contain 80 sheets/160 pages and the black double wire spiral is designed to prevent snagging. 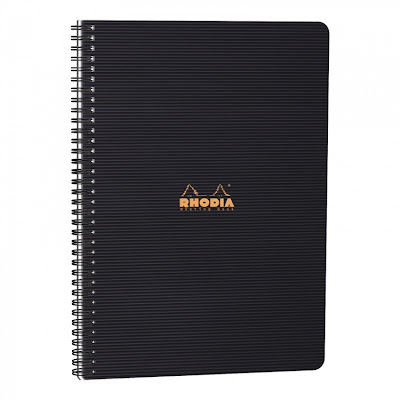 The Rhodia Meeting Book is definitely a useful tool for those that take notes during business meetings or classes. 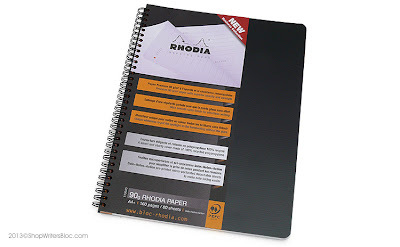 Have you used a Rhodia Meeting Book for taking notes? Do you have any tips you’d like to share?